It's 2018, we're living in the midst of the Digital Age, and things tend to happen quickly. Even the supposedly old-fashioned field of numismatics can't escape the changes of our hyper-speed world. If you want evidence, the latest example came this week when the American Palladium Eagle Proof coin made its debut from the U.S. Mint. Thanks to the wonders of online shopping, the coin sold out from the mint almost as soon as it became available! The newest collectible bullion coin from the mint is always sure to cause a stir among the numismatic community due to the crossover appeal of a collector's version of a precious metal coin. 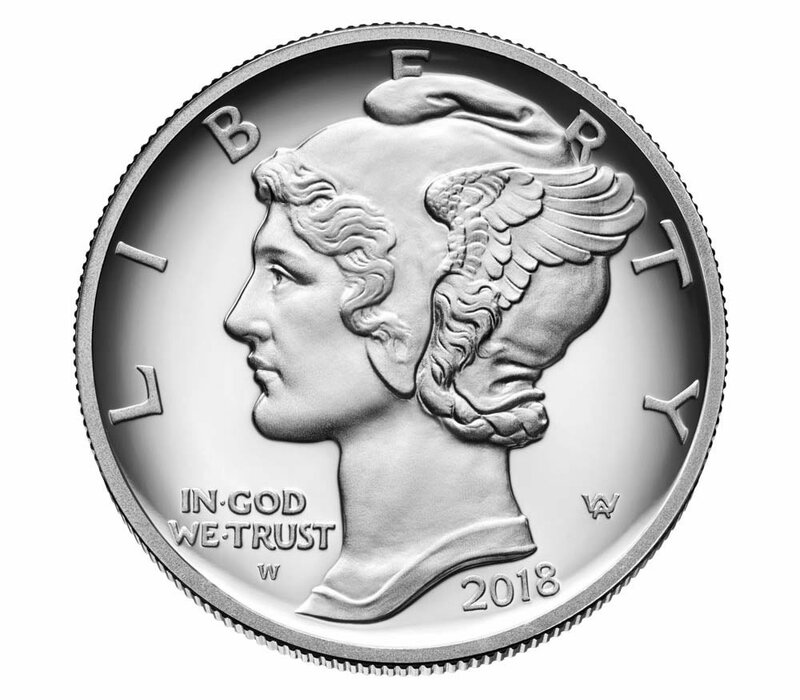 The new proof bears the same design as last year's 2017 Brilliant Uncirculated Palladium Eagle, which debuted as the first-ever palladium coin produced by the United States. It also was set at the same maximum mintage of 15,000 coins. This is, however, the first proof version of the American Palladium Eagle the mint has released. On the mint's website Thursday, the total mintage limit appeared to be sold out in matter of just eight minutes by many accounts. Strictly speaking, the mint simply suspended sales due to the incredibly high volume of orders. News of the coin's launch was covered by CoinNews.net, among other websites. Nonetheless, many interested buyers couldn't get their orders through in time and it was later revealed that the 15,000 maximum sold out long before the first day of issue ended. There are a handful of obvious yet compelling reasons why collectors are likely being drawn to the Palladium Eagle. 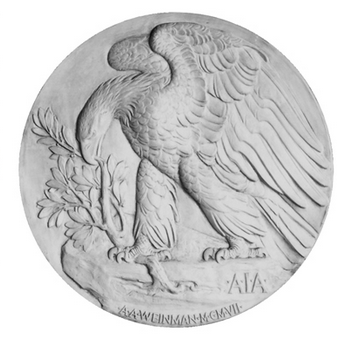 It uses a pair of classic designs, each created by the famous artist-sculptor A.A. Weinman: the obverse (below) from his Mercury dime and the reverse (above) from his well-regarded medal for the American Institute of Architects (AIA). Aside from its nostalgic and highly artistic appearance, the coins also have a limited mintage of 15,000. Restricted mintage totals are an obvious selling point for collectors, and this total is significantly lower than most other U.S. bullion coins. Moreover, the novelty of the uncommon palladium composition is also an important feature. This is even somewhat novel in terms of the coin's intrinsic value. Palladium has performed far better than silver and platinum over the past two years and has established its place as the second-most expensive precious metal to gold. Perhaps investors and coin collectors simply think these low-mintage coins will appreciate in price based on their melt value. A brief scan of the comments section on the article linked above unfortunately provides some anecdotal evidence that not everyone was pleased with how the coin was launched. Some collectors and dealers have openly admitted to gaming the mint's limit of one coin per household in order to acquire multiple coins. This deprived many small-time buyers of their opportunity to get the coin at its introductory price, making the sellout time of less than 10 minutes even more frustrating. Many of those who found ways to order more than one from the mint only to flip the coins for a quick profit—especially once the coins are sold out and still in high demand. Whether or not the mint finds a way to adequately address this possible problem, there's no doubt that the Proof Palladium Eagle will now sell for a steep premium on the secondary market, particularly if the coin is certified by one of the major grading services. The opinions and forecasts herein are provided solely for informational purposes, and should not be used or construed as an offer, solicitation, or recommendation to buy or sell any financial product or service.